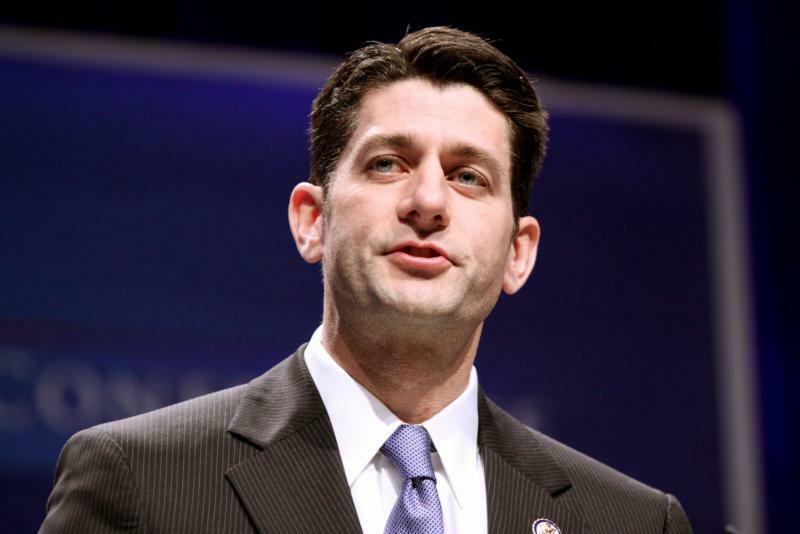 Speaker Paul Ryan Supports The Use Of CBD In Products As Well As The Industrial Hemp Industry In The U.S.
Forbes (October 31, 2018) For years, the marijuana industry has been involved in a kind of arms race toward creating super-potent cannabis products. Looking to provide veteran consumers enhanced highs and more bang for the buck, manufacturers over the past few years have gone full throttle to produce cannabis offerings with greater levels of THC. But that trend looks to be ebbing, in some respects, as an increasing amount of marijuana retailers across North America position themselves toward lower-dose creations that speak to an expanding mainstream audience. Many consumers — some of whom are new to legal weed or are less-frequent users — want to sample the brave new world of pot products without the fear of marijuana’s potentially adverse side effects. That often means taking it slow and low, as far as potency is concerned. Delaware Online (November 1, 2018) When it comes to cannabis, liberals and conservatives have very different views. But did you know the political divide extends to how marijuana is actually consumed? New analysis from the Brightfield Group, which does market research on cannabis and CBD, a cannabis compound used in medical applications, shows that while Republicans primarily care about how cannabis tastes, Democrats are more interested in its price. The company pulled from multiple sources to produce the data, including secondary research from regulators, menu audits from cannabis dispensaries, interviews with manufacturers/retailers and comparisons with similar markets (in terms of population, patient counts, political lean and historical usage rates). Marijuana Moment (October 30, 2018) The top Republican in the U.S. House has issued a surprise endorsement of a key marijuana ingredient’s medical benefits as well as the uses of industrial hemp. “It has proven to work,” House Speaker Paul Ryan (R-WI) said of cannabidiol (CBD) on Tuesday, specifying that it “helps reduce seizures.” “We do this in Wisconsin,” he said, referring to his home state’s limited CBD law. “That that oil, I think works well.” The speaker, who is not running for reelection and is retiring from Congress early next year, shared that his own mother-in-law used a synthetic form of cannabinoids, presumably the THC pill Marinol, while dying from melanoma and ovarian cancer. Eurekalert (November 1, 2018) A Drexel University-led research project aimed at studying the health and behavioral effects of medical marijuana use for young adults living in Los Angeles has been renewed for another five years. The project offers a unique opportunity for researchers to track how the state’s changing cannabis laws are impacting public health. California became the first state to establish a medical marijuana program in 1996. In 2013, the National Institutes of Drug Abuse funded the Cannabis, Health, and Young Adults research project in an effort to better understand the health and social effects of the law. Cannabis Business Times (October 30, 2018) The Budding Compassion Network, formerly known as East Bay Canna Compassion, has signed an agreement with Berkeley cannabis dispensary, Hi Fidelity, to manage the organization’s complimentary cannabis donations to verified low income patients as mandated by Berkeley dispensary regulations. The first donation day is scheduled for Nov. 18th, 2018. This historic, first-of-its-kind arrangement creates a new service model template for compassion programs within California’s regulated recreational framework. BCN’s services allow ongoing access for the most vulnerable patients in our communities, while providing support for licensed dispensaries to continue to be involved with compassionate access. Pasadena Now (October 30, 2018) Pasadena’s City Council on Monday set fees for marijuana-related enterprises which want to do business in Pasadena. Applying for a commercial cannabis license n Pasadena will cost applicants $13,654, following a unanimous Council vote. But only six applicants will be approved by the City to actually move forward and obtain a permit to operating. For those which are selected, an additional processing fee for the permit of $10,639 will be levied. Ballot Measure CC, passed in June of last year, allowed a limited number of cannabis retailers, cultivators, and testing labs to operate within specific zoning areas in the City, according to a staff report presented to the Council by Management Analyst Alex Hernandez. My Mother Lode (October 30, 2018) With year’s end within weeks, state cannabis regulators are busily rolling out more plans for regulation and licensing; some of which are drawing local lawmakers’ ire. Since recreational marijuana became legal Jan. 1, the California Bureau of Cannabis Control has been continually refining processes for how the commercial industry grows, tests, packages and delivers its goods. The latter activity is a particularly sore topic for jurisdictions with laws banning sales and dispensaries, because the state’s current position is that local governments cannot prevent deliveries on public roads. The issue may well be one that judges decide. Bloomberg (October 30, 2018) When it comes to cannabis, Canada is nice but the U.S. would be a lot better. In the aftermath of pot legalization north of the border, attention has turned to the world’s largest economy and the potential for a U.S. marijuana market that could be worth $75 billion by 2030, according to an estimate from Cowen & Co. Entrepreneurs and investors who are flocking to the industry say legalization is inevitable in the U.S. But while more than 60 percent of Americans support making pot legal, the politics remain fraught. Pot legalization is on the ballot in North Dakota and Michigan, while voters in Missouri and Utah will weigh in only on medical marijuana. Benzinga (October 31, 2018) Medicinal cannabis continues to perform at a high level as its adoption into mainstream markets continues. Canada and Several states in the United States are raking in hundreds of millions of dollars in tax revenues from the raging success of medicinal and recreational cannabis. According to Statista, medicinal cannabis revenues could reach as high as $5 Billion in the US alone by 2020. This past September, the U.S. Drug Enforcement Administration (DEA) rescheduled some cannabidiol, a move that allows the sale of the first nonsynthetic, cannabis-derived medicine to win federal approval. The Growth Op (October 31, 2018) We’ve lost many years of potentially important research on the use of cannabis as medicine because of polarized views of the “weed” among researchers, policymakers and the general public. On one side, there are those who see cannabis as a dangerous psychoactive drug that should be prohibited. On the other, there are those who view cannabis as a panacea with the potential to treat every disease and condition known to humankind. So now that cannabis is legal to smoke, will bureaucratic hurdles still make it hard to study? It’s time to remove the barriers to cannabis research. There’s still too much we don’t know — both potential benefits and risks. Cannabis has some promising medicinal properties and its use as a possible anti-convulsive has a long history. New research from my colleagues and myself indicates why it may be effective. Pot Network (October 30, 2018) Despite the panic overtaking the marijuana stock market of late, cannabis companies continue to go public in Canada, a sign that capital is still flowing throughout the industry. While investors remain skittish in the early days of Canadian cannabis legalization, selling off their shares to make a quick buck, the smart money is still on the long game for pot stocks. Two American pot stocks listed on the Canadian Securities Exchange last week and began trading on Monday morning. California’s Plus Products Inc. and Massachusetts-based Curaleaf Holdings Inc. joined the slew of cannabis companies looking for a capital infusion from the public markets. European Pharmaceutical News (November 1, 2018) Medical cannabis can now be legally prescribed by specialist doctors in the UK. It can only be used in specific circumstances, when other medication has failed to have an effect. Along with the MS Society, many others also fear that despite efforts from the NHS, the treatment will be much more limited than previously expected. It is likely that pills, capsules and oils will be made available, but not smoking cannabis. It has been reported that the medical cannabis will be used in cases where children have rare, severe forms of epilepsy, for adults with severe nausea caused by chemotherapy and for adults with muscle stiffness caused by multiple sclerosis.